I can't believe my little blog is turning two today. I really think that these past two years have changed my life for the better. I have met so many amazing bookish people, both online and in person and I have discovered so many new stories and authors! 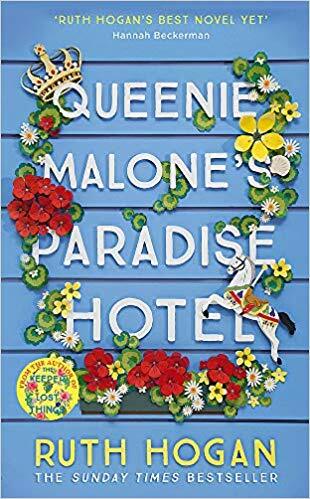 I couldn't be happier being a book blogger and I am so very grateful to everyone who visits my little piece of cyber world. Plus, today is Harry Potter Book Night! What a fantastic occasion to celebrate my blogiversary too! For the next few days, I have prepared some really amazing giveaways for you all that I hope you will love. But for today, I have decided to do a HP themed giveaway. Because who doesn't love a bit of HP? 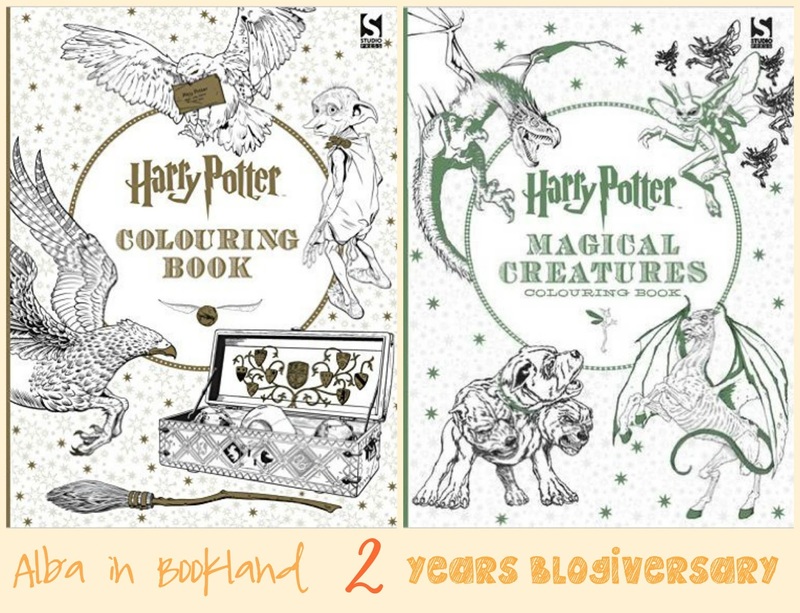 I'm giving away a Harry Potter Colouring Book to one lucky winner. The Giveaway is International and the winner will be contacted via twitter or email. Then they will be able to choose which one of the two there are available they want. Good Luck! Thank you so much! I'm a Gryffindor! Ravenclaw :) thanks for the giveaway. Ravenclaw...love ur layout and the little balloons u have ur social media follw in! Slytherin...not sure what to make of that! Ravenclaw! 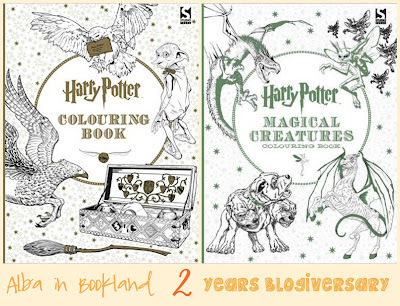 Colouring and Harry Potter - great combo! I don't know but I would to be in Gryffindor. I actually don't know Harry Potter at all, haven't seen films or read books. But my friends son really loves it, so if I were to win I would love to send it to him. Griffindor I think lol. :) But Ravenclaw sounds good too. Very indecisive.